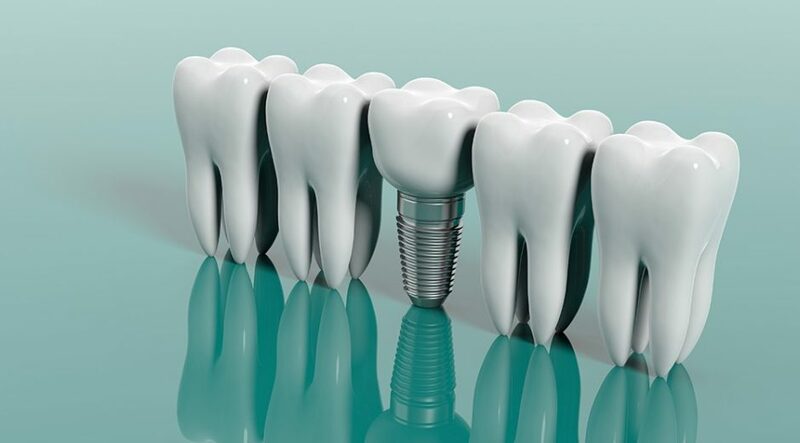 Tooth decay, periodontal diseases, injuries and accidents are just some of the reasons millions of people all around the world choose to have dental implants. And there is a myriad of benefits associated with getting such a procedure, from improved look, comfort and speech to better oral health, convenience and durability. During the last couple of decades, implantology options have turned into an essential part of mainstream dentistry, allowing professionals to advance quality of life across extensive patient populations. Failing dentition is not at all uncommon. Quite the opposite according to a recent global report which deep dived into the all-on-4® treatment concept, over 10 countries from across the Western world and Asia, including Canada. Estimates showed that as many as 40 million people are edentulous in Western countries and while the U.S. and Brazil are facing a greater challenge making up 64% of that number, Canada (5%) and Italy (4%) are dealing with a significantly lighter burden. As a comparison, toothlessness either partial or complete in Asia is 6 times more substandard with as many as 250 million people suffering from such dental problems. Nevertheless, tooth loss remains a major health concern in Canada and the rest of the world and in spite of newer and more efficient dental solutions, older adults still go for dentures and bridges. Bridgework for instance involve grinding healthy teeth to use them as side anchor which on long-term have high risks of wearing out, fail to preserve dental function and jaw bone loss. Typically, they can last up to 10 years, even less without appropriate care and hygiene. The grinded healthy teeth are also exposed to irreparable tooth decay which means they will also be compromised. Removable dentures are not for everyone either. Many times, patients find they do not fit properly and as a consequence, it leads to self-consciousness and emotional distress as well as physical one since sometimes people are not able to speak or eat properly. With Canada’s fast-growing aging demographics where by 2063, seniors are expected to make up 25% of the population, it is essential to understand and raise awareness of the best possible dental solutions. The all-on-4® treatment concept is considered to be the highest standard of implantology techniques at the moment. This is reinforced by almost 15 years of clinical success and offering a reliable option for people who seek to ease the discomfort that so often comes from tooth loss or having to wear a removable denture. It’s no wonder the dental implants market is expected to grow by 6% every each until 2021. One of the main unmet needs identified is rooted in moderate to severe bone tissue loss which makes it all the more challenging to find adequate bones to fix the implants on. This also puts financial pressures on patients and it may even be far-reaching for many since for example the cost of implants to restore an entire jaw can be skyrocketing. However, this issue is anything but new. On the contrary, it has been around for decades which led to the birth of the innovative all-on-4® treatment concept, back in 1998. The main benefits? It’s a cost-efficient, graftlesssolution which enables people to walk out of a dentist’s office the very same day with a fixed, full-arch implant they can trust. As the name suggests, only 4 implants are needed, and the best part is that the procedure was exactly created to maximize usage of healthy bone available and enable immediate function. About 98% of people who have had an All-on-4® implant done say they would recommend the procedure. Additionally, according to a study published in The Journal of the American Dental Association demonstrated the implant concept is highly viable on a long-term basis. Researchers looked at over 200 patients at a five and respectively ten years follow-up and the results were incredible: over 98% and nearly 95% success rate. In other studies, the same procedure for the upper jaw showed a 97 to 98% success. Overall, All-on-4® has among the highest success rates out of any dental procedure and even though the lower arch has reported better outcomes, it’s only because usually the bone is more dense than in the upper one. Even so, should one of the implants fail, it can easily be replaced or repositioned to achieve the desired results. There are several factors that have contributed to Canada’s great state of oral health and hygiene in dentistry overall. To note just some of them: nearly 14 million Canadians have had access to community water fluoridation. How is this relevant here? Drinking fluoride-filled water has long been linked to reduced tooth decay as it helps reduce the dangers cavities are exposed to from foods and bacteria. As a result, fluoride water has been encouraged by many health bodies, including The World Health Organization, the Canadian Dental Association, and the Public Health Agency of Canada (PHAC). Another important factor is trustworthiness. Specifically, dentists are among the most trusted in Canada. As per a Reader’s Digest poll, 63% of Canadians fully trust their dentist and when a treatment is recommended, patients follow it without question. A landmark survey co-authored by a Canadian researcher has been conducted to review the power of a TED-like educational session on shifting opinions when it comes to dental implant therapy. The study was filled out by 104 individuals who either had no information at all about it or quite the opposite were dentures-wearers. Percentages of willingness to accept implant therapy after the TED-like session, went through the roof, growing from 24% to 80%. High levels of acceptance after the talk prove once again that a lack of knowledge can lead to almost half treatment refusals. Even though the study can only be considered a sample, it offers a valuable insight into how an informed patient can make better decisions about their dental health.